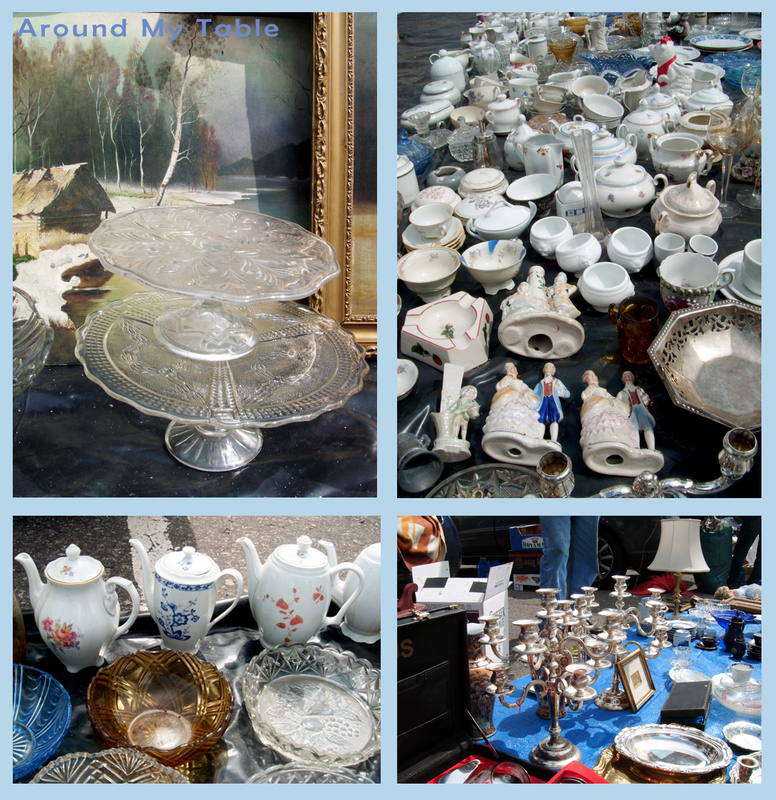 This weekend I’ve been to an antique flea market where I only wanted to look around and have an idea what it’s like. Well, I was overwhelmed and so excited, unfortunately I came too late and most stands were already closed but still I was lucky to buy a few special to me treasures. Don’t you just love this feeling when you find something close to your heart and taste, it is the joy, pride and creativity that awakens along with the purchase, this is priceless 🙂 My finds were Rosenthal egg holders, Royal Bavaria winter plates, silver American pattern sugar spoon and a crystal cake platter. 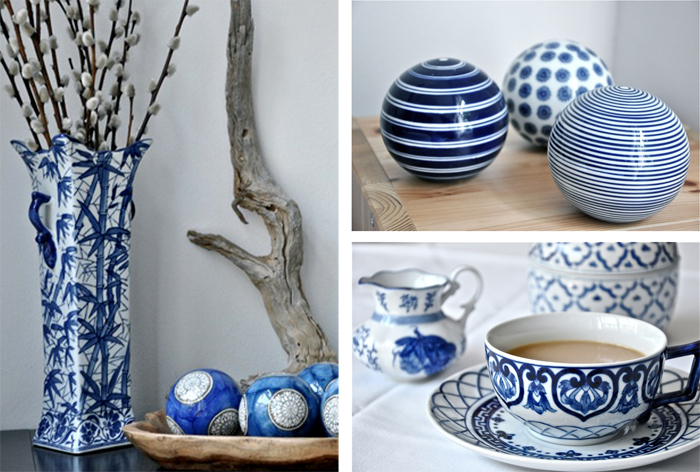 My blue and white porcelain obsession continues. And when my mother-in-law found out about it she passed on a few items from her valuable collection of Blue Danube porcelain. I love it! 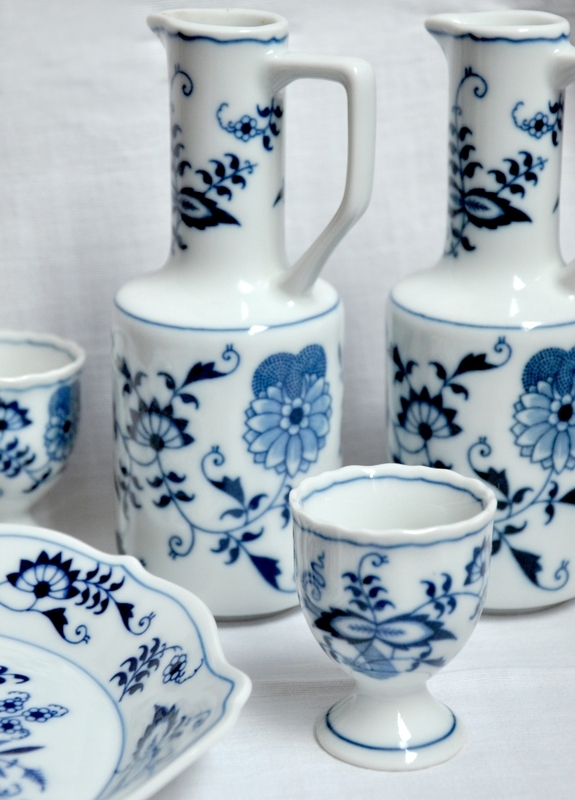 Blue Danube which is made in Japan, is an interpretation of the renowned ‘Zwiebel’ or ‘Onion’ pattern, originally from the Meissen porcelain factory in Germany. In 1710, Augustus the Strong, Elector of Saxony and King of Poland, established Europe’s first porcelain manufactory in Meissen, a city of modern-day Germany. 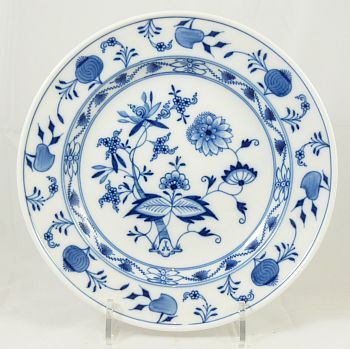 The artist Kandler , working for the Meissen factory, created the ‘Blue Onion’ pattern in 1734, inspired by a similar Chinese pattern fashioned during the Yang dynasty (1260-1368 A.D.). 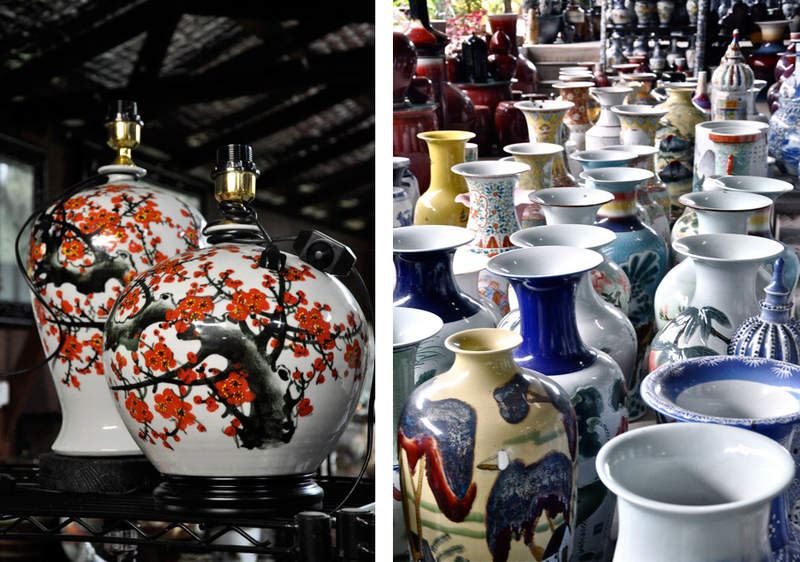 The design is a skilfully conceived grouping of several floral motifs. 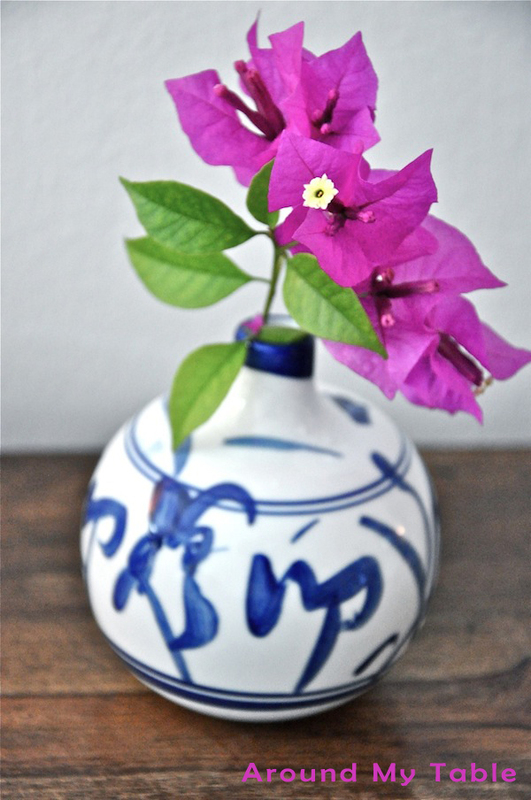 In the centre of the pattern you will find stylised peonies and asters and stems which curve around a bamboo stalk. 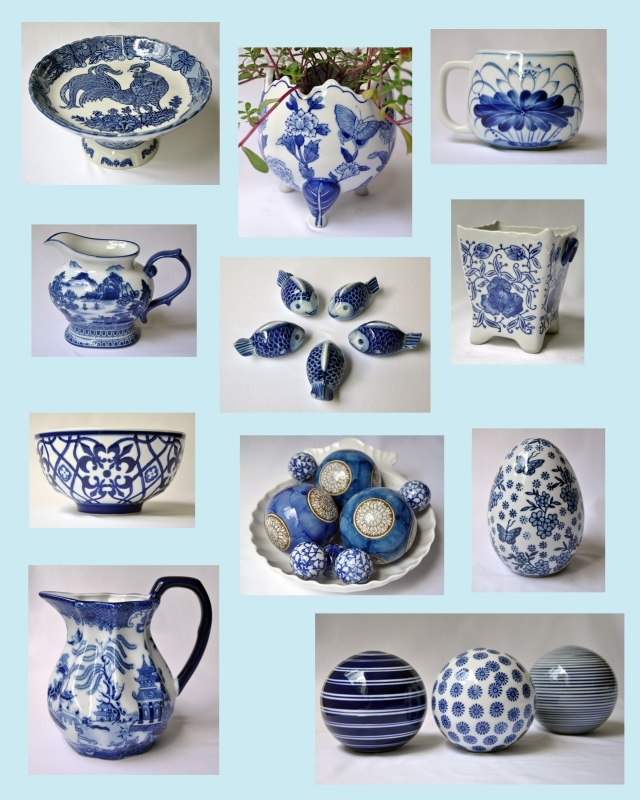 Blue Danube has many of the shapes from the original Meissen articles. This, together with the motif, makes the product a genuine evergreen, whose style will never age. 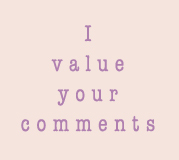 It is truly a product of the past, present and future. I can’t wait to find some more items to add my collection. 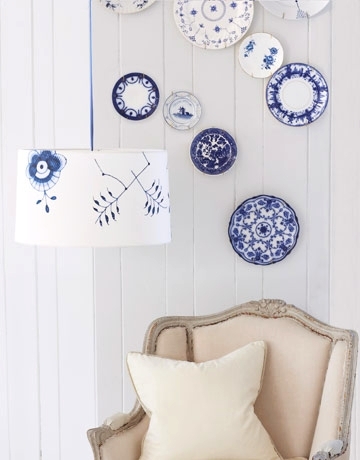 It’s no wonder that blue and white is a favorite color combination for cottages and seaside decorating. 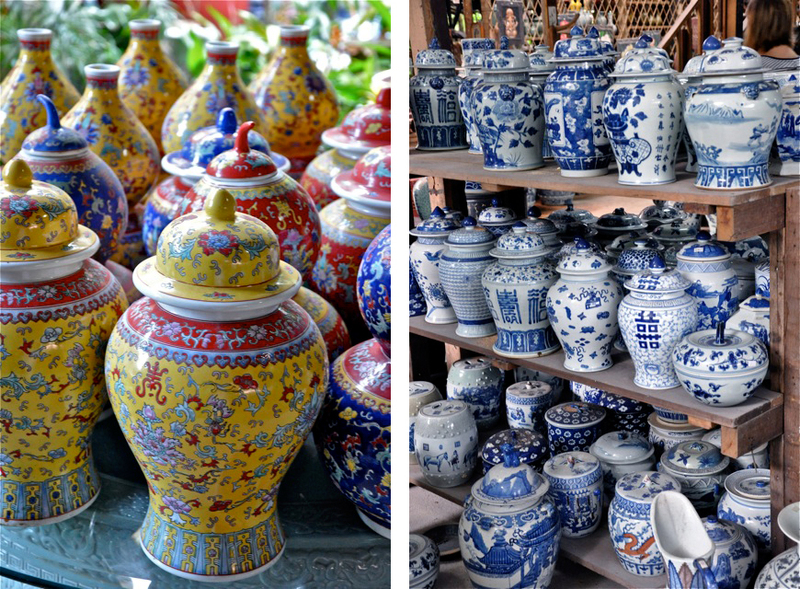 Of course, blue is one of the best color for home decor. Blue brings down blood pressure and slows respiration and heart rate. That’s why it’s considered calming, relaxing, serene and evokes images of the sea, and is often recommended for bedrooms and bathrooms. 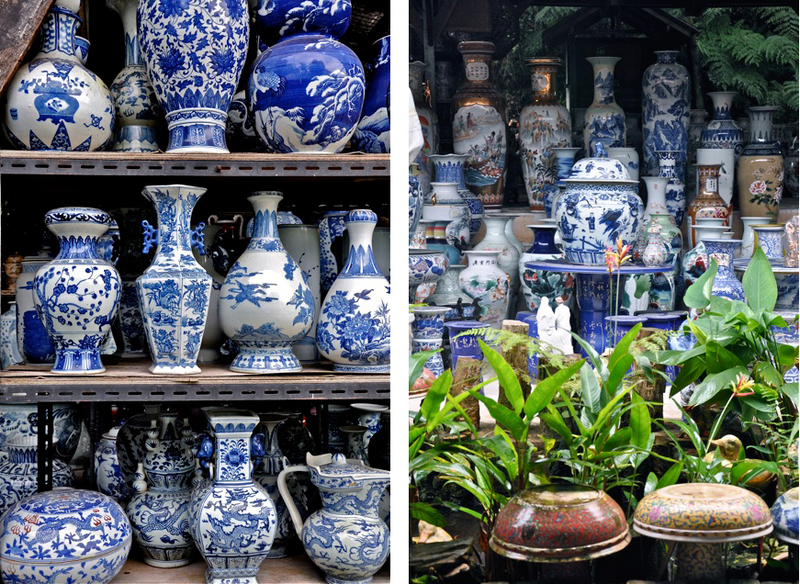 I choose to use blue and white chinese porcelain in my decor. 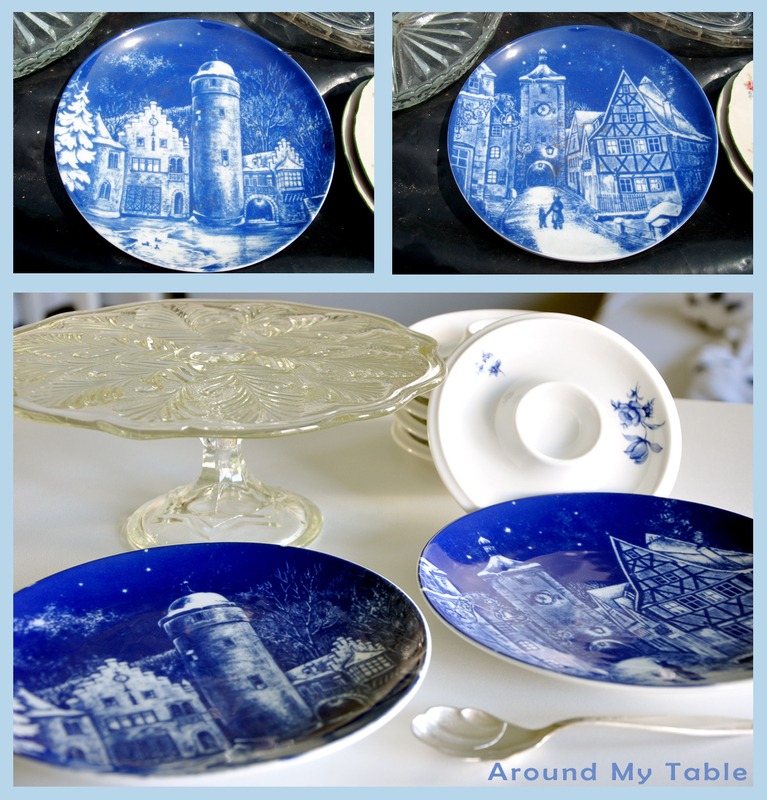 Blue and white has long been a popular combination for dinner china and beautiful antique or new blue and white plates are easy to find. 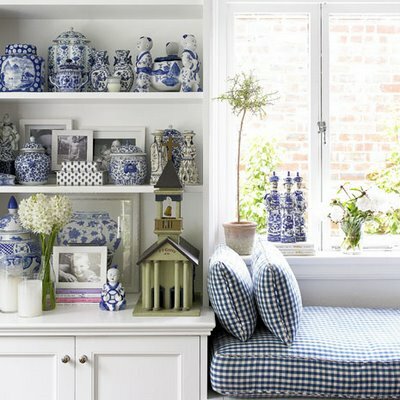 I have been collecting items of use and no use such as plates in the ever-popular blue willow pattern, or even flow blue patterns, with purposely blurred images, that were popular about one hundred years ago. 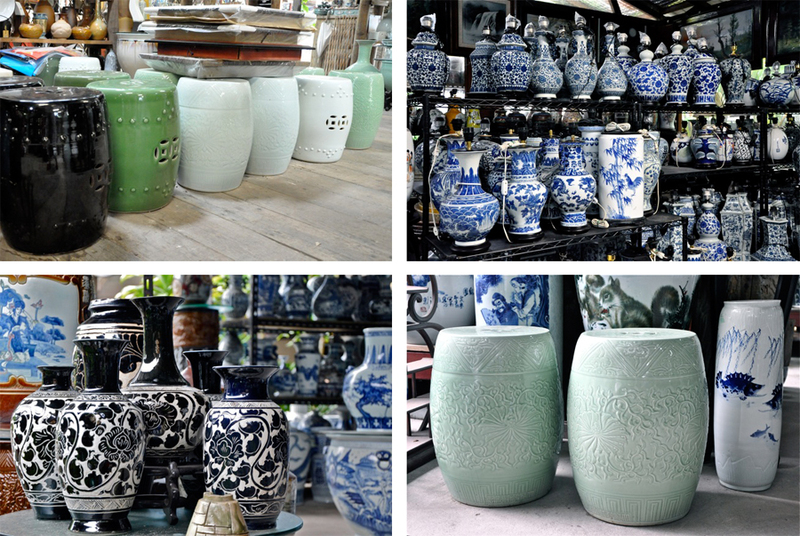 Vases, soup tureens, tea pots and other pieces of antique blue and white porcelain also look beautiful when on display. I have been on a lookout for blue and white linens to add to my collection. 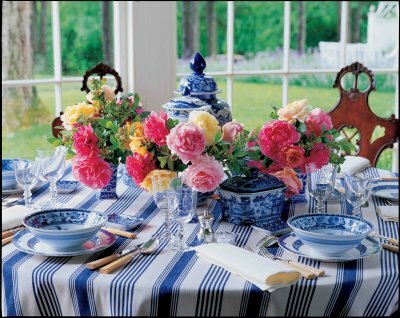 Tablecloths, napkins, placemats, curtains, bedspreads, sheets and more are available in delightful blue and white solids and patterns that can brighten up your home as well. Why not display the mix-and-match plates on a wall, not necessarily in the kitchen. 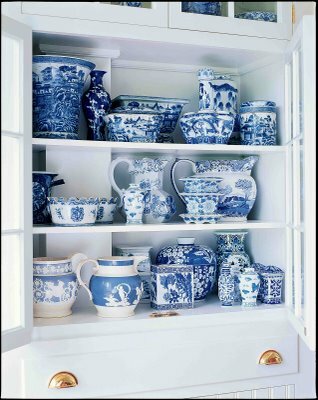 Decorating ideas with blue and white by Carolyne Roehm.